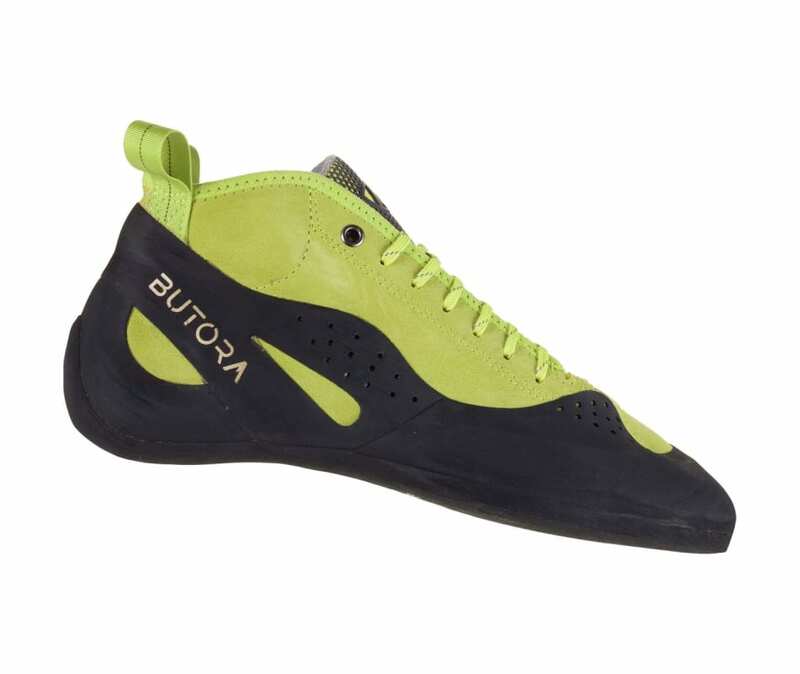 The Butora Altura is a mid top trad climbing machine. The Altura excels at long days of multi-pitch crack climbing and big walls, but performs just as well on sharp micro edges. The 100% organic hemp lined German leather stretches very little, so the size you buy is the size you end up with. At Butora they take the details seriously, like how they use three different deniers of thread and don't use liquid adhesives on the upper, allowing better breathability. Whether in Yosemite, Indian Creek, or just at your local crag, the Altura's performance and comfort are so good you won't want to take them off.